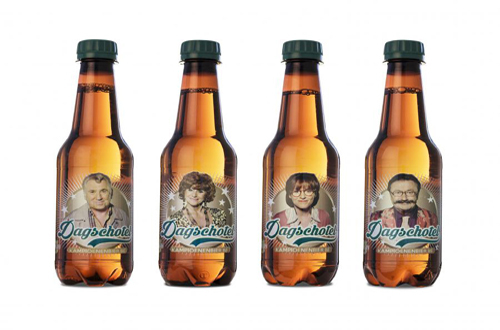 Making use of polyethylene terephthalate (PET) bottles printing technology, Belgium’s Martens brewery teams up with popular TV show to promote a special flavor of the beer with a story. “This interactive promotion campaign could be achieved thanks to innovative changes in the brewery manufacturing site, introducing technologies from different world leading suppliers,” explained Danny Dresselaerts from the Martens brewery. NMP Systems, a subsidiary of the German company KHS, combines dedicated low migration UV-curable inks from Agfa Graphics with the first industrial scale Direct Print Powered by KHS technology. The system prints color images (1,080dpi – four colors + white) at PET line speeds. 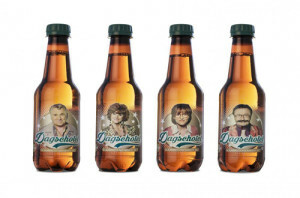 “Bottling beer in PET bottles and printing images of TV show characters directly on the bottle are unique projects as such. And we added augmented reality which enables the characters in the images to talk to the consumer via their smart phones or tablets,” said Mr Dresselaerts. Extra TV characters along the promotion campaign will be added so the consumers will experience new stories along the line. “This combination of marketing and technology is unique and may well change the way we will package food and drinks in the future. We expect the bottles to be a collectors’ item soon, whether empty or full,” he said.